In advance of 2019’s deluge of celebratory Air Jordan 4 releases, the Jumpman will be finishing out its 2018 calendar with two boisterous renditions of the 1989 silhouette. 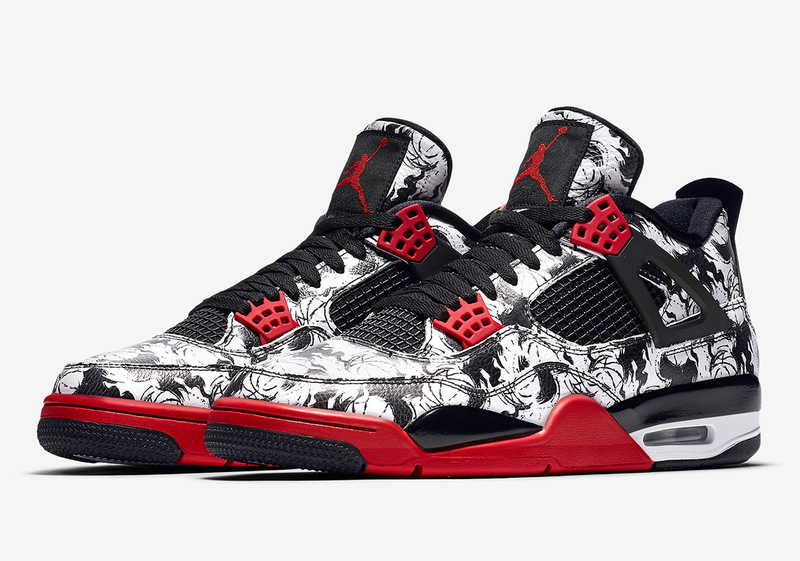 One of these iterations comes affectionately dubbed the Air Jordan 4 “Tattoo” due to the brush stroke style basketball graphics tattooed onto its upper in black and white. Designed with admirers of the game in mind, this pair of Jordan 4s will help you express your love for one of the world’s most popular sports. Adding a flash of color is Fire Red, taking shape on its midsole, tongue tag Jumpman, and the model’s signature lace stays. Just a mere two months away from the 30th anniversary celebration of the Jordan 4, this drop (along with the AJ 4 “Singles Day”) will undoubtedly have Jumpman followers excited for what is to come in 2019. Enjoy an official look at the Air Jordan 4 Tattoo and expect its Greater China release to go down on 11/11, followed by a global drop on 12/29.